Regal Caribbean Sunrise Jerk Seasoning - 10 oz. 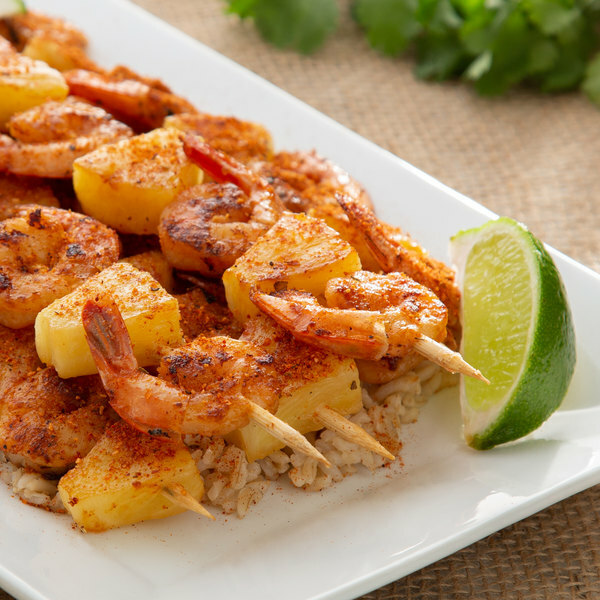 Add some spice to your foods with Regal Caribbean sunrise jerk seasoning. Made from a mix of salt, cayenne pepper, garlic, onion, cinnamon, ginger, black pepper, chili powder, and sugar, Regal Caribbean sunrise jerk seasoning is perfect for adding a spicy kick to your signature dishes. 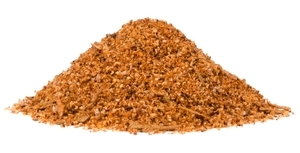 This jerk seasoning is primarily used in the preparation of grilled meat. Jerk seasoning can be either rubbed directly onto meat or blended with a liquid to create a marinade. Whether you use it for sauces or meat rubs, this pre-mixed blend is a quick way to enhance any recipe with robust flavor. "We love this seasoning. We use it on all different kinds of fish. It enhances the fish without overpowering. Paired perfectly with a pineapple salsa." For your convenience, this blend comes pre-mixed with salt, cayenne pepper, garlic, onion, cinnamon, ginger, black pepper, chili powder, and sugar. Buying pre-blended spices not only saves your staff members prep time, but it also ensures that you consistently have the same ratio of ingredients. 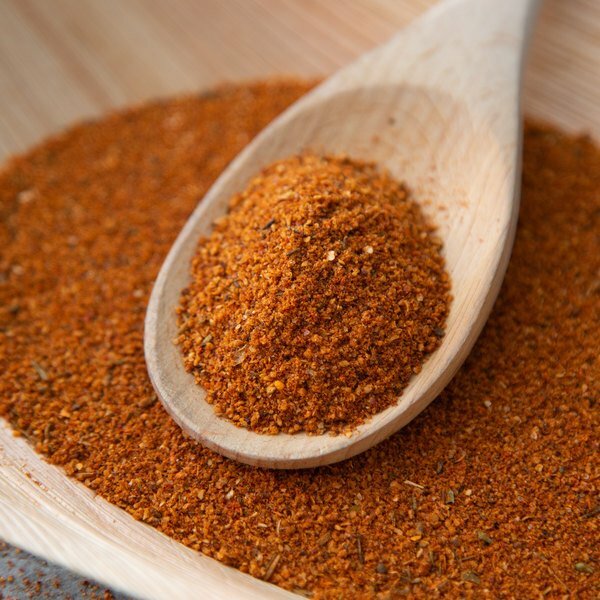 Whether you want to use it as a dry rub or as part of a marinade, the jerk seasoning will add spice to your beef, poultry, and more. Known for being hot, jerk seasoning combines sweet and spicy ingredients to give your grilled foods a zesty flavor. 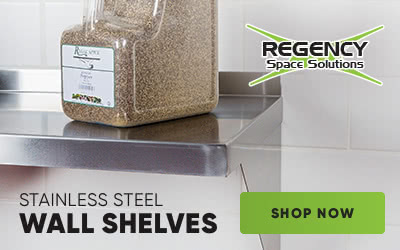 Regal Herbs and Spices are a smart addition to any kitchen. This handy 10 oz. container is easily accessible for your cooking and seasoning needs. Be sure to check out our quantity discounts for even better wholesale savings! 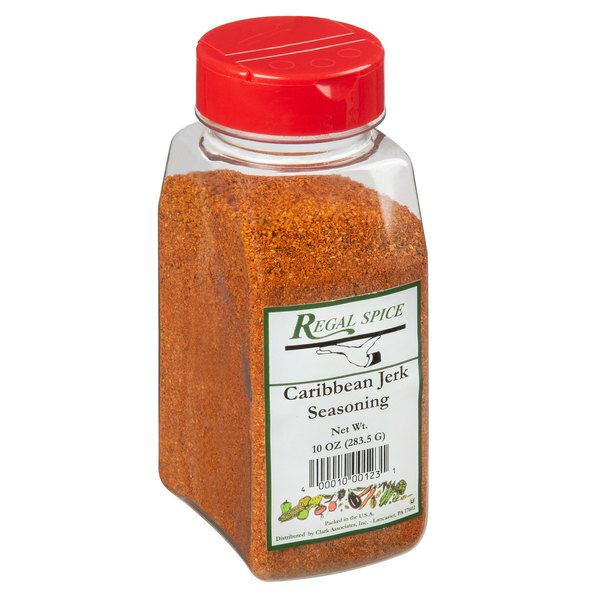 Item #: 10207337 Regal Caribbean Sunrise Jerk Seasoning - 10 oz. 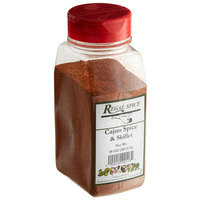 Item #: 10207304 Regal Cajun Spice & Skillet Seasoning - 10 oz. Item #: 102708524 Regal Fajita Seasoning - 16 oz. 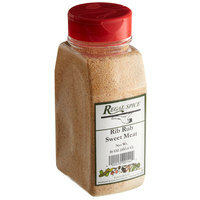 Item #: 10207486 Regal Sweet Meat Rib Rub - 16 oz. 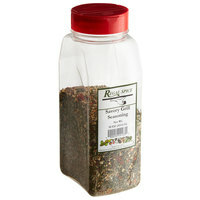 Item #: 10207370 Regal Savory Grill Seasoning - 16 oz. 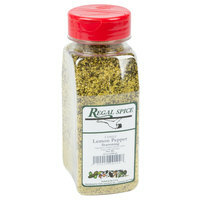 Item #: 10207339 Regal Tangy Lemon Pepper Seasoning - 12 oz. 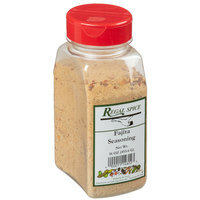 Regal Salad Seasoning - 12 oz. Regal Delicious Stew Herb Blend - 4 oz. Regal Mediterranean Herb Blend - 16 oz. Regal Honey Sweet Herb Blend - 12 oz. Regal Bay Seafood Blend - 16 oz. 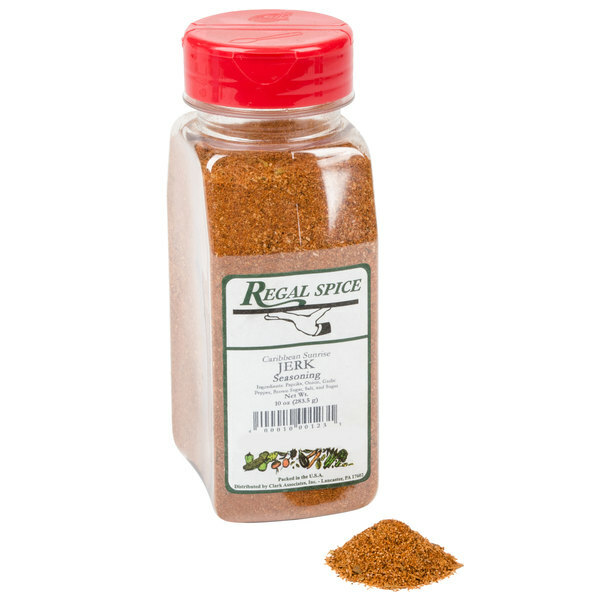 Regal Seasoned Salt - 8 lb. Regal Upper Bay Crab Mix - 16 oz. Regal Garlic Salt - 16 oz. Regal Big Flavor BBQ Seasoning - 12 oz. Overall User Rating: Regal Caribbean Sunrise Jerk Seasoning - 10 oz. This has was much larger than expected plus a little goes a long ways. Just the right amount of jerk seasoning for colorful, flavorful dishes. This seasoning is a favorite of our restaurant and we use it often on a variety of dishes and meats! Easy to adjust to your personal taste! The Caribbean Sunrise Jerk seasoning is great and makes our jerk chicken taste professional. The seasoning blend is bold and really pleasant. Nice freshness too. 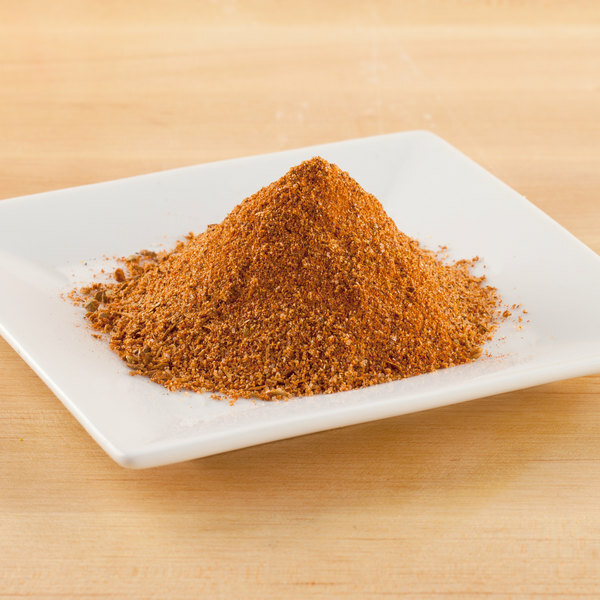 A great blend of spices in this Caribbean jerk seasoning that is excellent on chicken. A very flavorful seasoning and really well priced. A nice meat seasoning. it tastes like a mild herbal blend with a little spicy kick to it. it's great with various kind of meat and specially chicken. awesome! I love the freshness of Regal's seasoning blends. They are well packaged and great quality. The Caribbean sunrise jerk seasoning is excellent for great tasting pork. The jerk seasoning has a great blend of spices and also tastes good. It seasons meat very well, but it could use more pepper. Make it a little spicier. The price is great and the package came on time and in great condition. Im adding more from Regal to my spice collection. This is what i call seasoning. Great Value, Great Product! I would Highly recommend Regal spices. Quantity verses cost has a great benefit! If you use a caribbean seasoning I would recommend looking into this product and switching over. I had never used this ten ounce Regal Caribbean Sunrise Jerk seasoning in the past and I continue to be satisfied with the taste. The taste is exactly as expected and the fine consistency is the perfect addition to any jerk chicken or chicken wing recipe. I like how easy this spice is to order and will continue to do so. This would be something I will continue to order. I really love making blackened chicken and the jerk seasoning really adds to the flavor of this dish. I highly recommend trying this spice blend. It is great on any protein. This product has a wonderful smell. It reminds me of jerk chicken from the Caribbean. It goes on easy and is so robust with flavor. There are several Caribbean spices that are salty or hot but does not have a Caribbean Flavor. 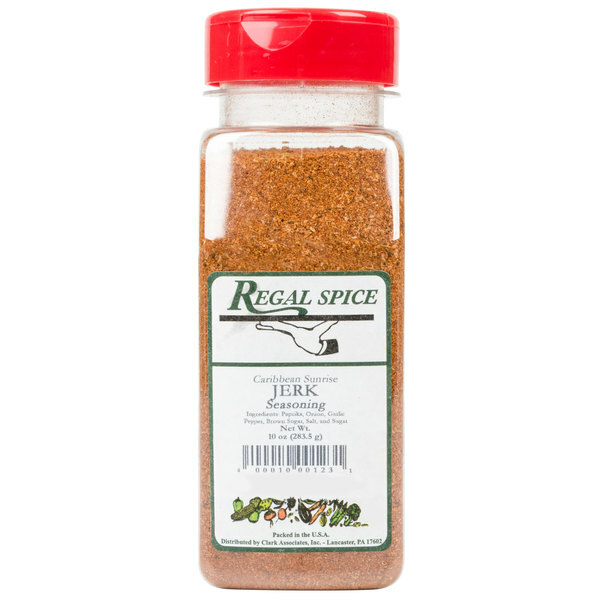 The Regal Sunrise Jerk Season is great for preparing a fried wing sauce or dry rub. You will not be disappointed with this product. This Regal Caribbean sunrise Jerk seasoning had a good Jerk flavor. Not very spicy at all in my opinion . Give your meat a nice color when cooked.